The work we do on this page is totally FREE! 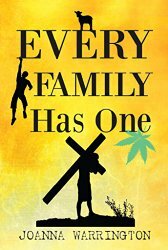 The inspiration for ‘The Catholic Woman’s Dying Wish’ and its’ sequel ‘Every Family Has One’ goes back a long way; to my school days in the 1970s. As a Methodist girl attending a large Catholic secondary school I was the odd one out. I wasn’t pulled out of lessons to go to confession. I didn’t taste the wafer with its’ beautiful etching of Christ and I longed for a drop of sweet communion wine. The Catholic faith remained a mystery throughout my schooling and I’m still haunted by the ghastly smell of incense, which mingled with old PE kit and sweaty bodies in one heady mix. My lifelong fascination with the Catholic faith grew after watching The Magdalene Sisters and Philomena and directly inspired this unusual story which is a refreshing and unique contemporary novel using the back drop of the history of the Magdalene laundries as its’ setting. The Magdalene laundries were institutions that existed in Ireland until 1996: maintained by religious orders in the Roman Catholic Church these were homes, run by nuns for women labeled as ‘fallen’ by their families and by society. Today I’m a self proclaimed expert in the use of dating sites and through my work: in care homes, a children and family centre, a secondary school teacher and now a funeral celebrant I have gained knowledge of post natal depression, child abuse, step parenting and issues surrounding death and dying. I also run a Death Cafe. All of these experiences are brought to life in my books in a fictional way. This unusual story spanning two books is about a pregnant girl who is sent to a Magdalene laundry in Ireland to atone for her sins. Toiling in the laundry she is abused and humiliated by the nuns but manages to escape. She never returns home and thirty years later her brother, Darius, embarks on a world-wide search for her; a search which leads him directly back into his own dark past; which he has spent years recovering from. When the search becomes fruitless he turns his attention on-line and meets Faye; widow of three. 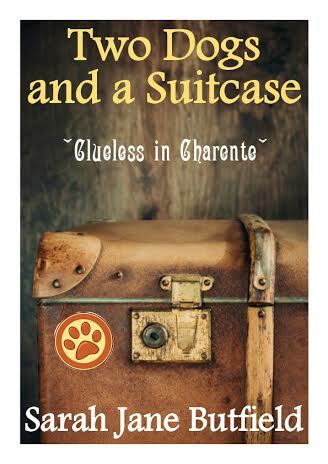 When Faye begins to worry about her withdrawn son; suspecting drug abuse the two damaged souls – Faye and Darius – are about to find out that their lives are interconnected and interwoven in shocking ways in this story about loss, love and forgiveness. 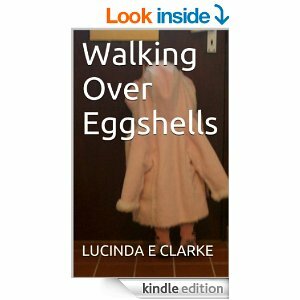 Hello and thank you for visiting my author page. 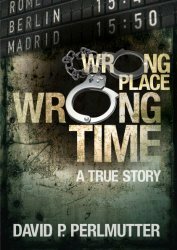 WRONG PLACE WRONG TIME is my first book and was encouraged by my family and friend/editor to put pen to paper/fingers to laptop and write. It is based on a events that happened to me when in the early 90's I visited Marbella in Spain. The success of Wrong Place Wrong Time has been mind blowing and the reviews from readers around the world has been a wonderful surprise. Over 248 x 5* reviews across Amazon. 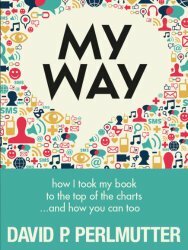 My second book, called MY WAY is all about book marketing and has received many 4/5* reviews from authors who have said that the tips have helped increase book sales and gain wider exposure on the social media scene. 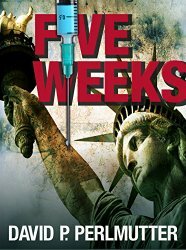 My third book is called FIVE WEEKS and about a guys new life in America but ends up nearly left for dead in Pennsylvania. If you do download my books I hope you enjoy. Available Titles are all listed at 99c! Get Your Copy Today!!! Check Out This Amazon Review of "Wrong Place Wrong Time"
WRONG PLACE WRONG TIME is the first book written by David Perlmutter and what a fantastic story he has to tell. The biography is of a young successful man who had it all, and lost it all by making one careless mistake. This error in judgement caused a chain reaction of errors that took David on a roller-coaster of misfortunes and plain, bad luck. The book certainly fits the title. We've all been at the wrong place and wrong time. David has been there numerous times. This story is well-written and gripping to the end. I applaud the author for telling his story. 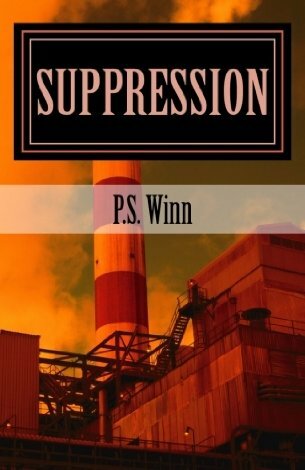 It's a quick read that you will want to finish in one setting just because it's that captivating. Highly recommended. Brilliant story sir. Rebecca Lombardo began writing as a child. In third grade, she told everyone that her dream was to be a writer. At the age of 19, she was diagnosed with Bipolar Disorder. She continued to write poetry into her 20’s, until her illness consumed so much of her time and energy, that she just lost the will to write. She never gave up her dream to be a writer. However, the despair she felt over not being able to find the words anymore was just too much for her to take, so she gave up writing for many, many years. Sporadically, she would begin a journal, blog, or even write a poem for her husband, but it was never the same again. In the summer of 2013, Rebecca faced one of the biggest struggles of her life. After losing both her mom to lung cancer in 2008, and her brother to an accident (on her birthday) in 2011, she felt as if she was drowning. Her physical health continued to deteriorate, and the migraines that were once just a nuisance became a constant. They would sometimes last 6-7 days at a time, and were cause for countless trips to the emergency room. Trying to pick up the pieces of her life after her mother’s death, she moved forward with running a small pet boarding business. She also attempted an online direct sales business. Yet, she fell apart, and there was no way she was going to come back on her own this time. She attempted to take her life and was hospitalized against her will in a horrible place. She was released the first week in July. Her PTSD, anxiety, depression, and grief were overwhelming, so she decided to begin writing again. When the words began to flow easier and easier, she decided that she would be willing to turn it into a blog. She hoped others could see her struggle and know that it’s a vicious cycle, but it can be overcome. She desperately wanted it to help her get past all the trauma of these experiences. As her writing went on, she would receive more and more feedback from total strangers, sometimes in other countries, that would thank her for telling her story. They were grateful that because of her, they were now able to get help. On August 23, 2015, It’s Not Your Journey was finally released on Amazon.com. Feeling accomplished and proud, Rebecca now hopes to go on and help an even broader audience. She celebrated 14 years of an incredibly happy marriage on August 3, 2015.
the pages of “It’s Not Your Journey”, named after her highly popular blog. “It’s Not Your Journey” is Rebecca’s 2 year long chronicle of her struggles with Bipolar Disorder, Depression, Anxiety, Self-Injury, and recovery from a Suicide attempt. Rebecca shares her very real, raw feelings on these subjects, as well as addressing other issues that have contributed to her downward spiral and eventual climb out of her own pit of despair. Issues such as the loss of her mother to lung cancer, the death of her brother, abandonment from friends and family members due to her hospitalization, and more. At 42 years of age and happily married for nearly 14 years, Rebecca can finally say that she is on her way to reaching her dream. Not only does she hope to help people that are struggling with depression, she hopes to help them realize that you are never too old to find your voice, and make your dream happen. I'm not one to write reviews a lot, but I felt that this warranted a review. You might be asking yourself, why should I read this book? Read it to have a better understanding of what someone who suffers from mental disorders might be going through on a daily basis. I have a family member who does, and I know they struggle, but this has helped me to understand them more. If you are struggling with a mental disorder, please read this and know that you are not alone. It's a different read since it's more of a "day in the life", real account instead of a fictional piece of work. But for telling this type of story, it works. You won't be wasting your time. Having written her ﬁrst paranormal fantasy book at the age of forty-three, Margaret Daly has started a wonderful trilogy. 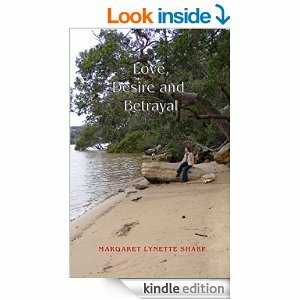 Margaret took her life’s encounters and crossed a bridge to a different world with them, a world ﬁlled with untamed power and endless possibilities. Being raised in the hills of West Sparta, New York, Margaret lost her home and everything in it to ﬁ re at a young age. She dove into the dark world as a teenager and from there on spent most of her life wrapped up in unfortunate situations from bad choices. Margaret learned some things aren’t what you expect; some things end up being more. Ember Malloch has no idea her life is about to get turned upside down. Besides the fact that she sees the dead on occasion, she lives an ordinary mundane life. Her sister warned her not to provoke the spirits, but Ember has a mind of her own and she deﬁes Becky at every turn. Now, her life as she knows it will be changed forever, as an unbridled strength is unleashed upon her. This books has everything a reader would want! A good, strong female character who has no problem standing up for herself, funny, loyal friends, a ruthless villain we all hope is destroyed and of course the destined, fated-together love story that we all need. Ember is a young girl who has recently lost both of her parents in a horrific house fire. Struggling to come to copes with the loss of her family, she has trouble bonding with her older, over-protective sister. The story quickly changes from normal, adolescent girl problems to an all out battle between good and evil. Will Ember be strong enough to fight the man who has seemed to defeat her lifetime after lifetime? Find out now, in this seat gripping fast-paced read. Originally from the UK, Jackie is now an adopted Australian. She grew up with horses in the UK, but in her twenties she ran away to Australia and met and married Noel. They decided to buy a boat and set sail. Together they have sailed around the world one-and-a-half-times and have experienced numerous ocean and inland waterway adventures. Now, Jackie (and Noel) are commercial skippers, maritime teachers and authors. Currently Jackie is exploring the French canals on a 1920 Dutch barge with her Australian husband. Of Foreign Build available in Kindle and Paperback format. To connect with Jackie or to find out more visit her website, Facebook page or Twitter profile. The son of British-Jewish parents, Richard Klein was born in Rio de Janeiro 1962. He studied economics in Brazil but now works as a computer graphics artist and has contributed to the production of numerous blockbuster films. He is an accomplished musician, with some 400,000 hits on Youtube. As well as Rio de Janeiro, Richard has lived in Paris, Lisbon, Los Angeles, São Paulo and Glasgow. He is now is based in London. Lost Samba is available in digital and paperback format. This is the fully revised, second edition, of Lost Samba. The book has also been re-designed and now has illustrations while the e-book now contains a plethora of links to help give the reader a comprehensive experience. Do you want to be featured here? It's FREE, get in touch and see how being part of the Rukia Publishing team can help you. Julie Freed has a PhD in mathematics and teaches at her local university. She has rebuilt her life and home on a stronger foundation on the Gulf Coast. Julie lives with her husband, two daughters, a frog, a dog, three kayaks, a boat, and a dream. NAKED is her first memoir. Available in digital and paperback format. A house and marriage violently disintegrate. Abandoned by her husband and left alone to raise an infant in the aftermath of Hurricane Katrina, Julie is surrounded by the rubble of her life - stripped bare by love and loss. What happens when one woman loses everything? It is a time of unprecedented clarity. She must unflinchingly face her marriage, her womanhood, her husband's alcoholism, his infidelity, and the remains of a shattered home. Acknowledging her own pain, she also shares the heartache of others in her coastal community rebuilding the ruin of their lives. As she reflects on choices past and present, Julie emerges anew. Naked is a beautiful true story about choices, strength, divorce, Hurricane Katrina, flawed diamonds, addictions, a mother's dream, life changing bridges, single motherhood, and a baby girl named Genoa. Struggling to find meaning in her journey while paving the way for her own and her daughter's future, Julie shares a remarkable story with humor and tenderness. The strength and resilience of the Gulf Coast shines through as does the love and purity Julie finds. Experience the vulnerability, hurt, love, loss, anger, intimate reflections, authenticity, and ultimately the freedom as Julie's shocking story unfolds. You can read Rukia the Readers review here. 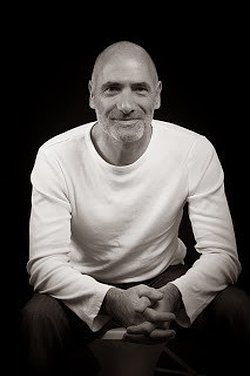 Tony Riches is a full time writer living with his wife in rural Pembrokeshire, West Wales, UK. Warwick is his third novel and he is also the author of several best-selling non-fiction books. 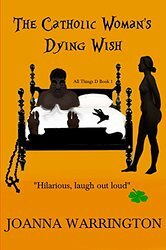 As well as his website, Tony has a popular writing blog at www.tonyriches.co.uk and can be found on Twitter @tonyriches and Facebook. 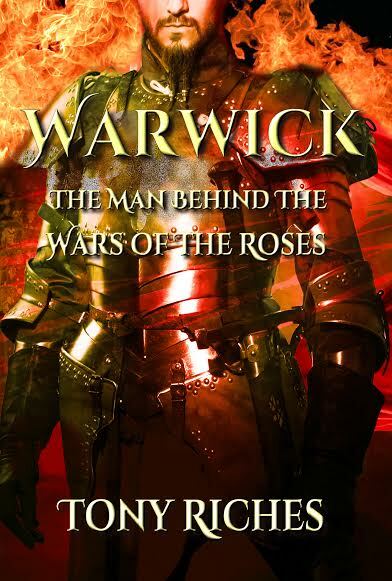 Warwick: The Man Behind The Wars of the Roses. There are free and paid ways to promote your books, services or special events at Rukia Publishing. 1.Author/Service provider interview detailing the promotion, event or service. Paid option: A 1 month placement on the website, etc., costs just $15 a month. 2. A replica advert on any Rukia page of your choosing on the website. 3. A pinned post for one month on one of our Facebook or Twitter pages. 5. Use of the blog to run a competition of your choosing during the advertising period. Complete the form on the Home page for more details. Twelve of the world's greatest living authors reveal their tips for writing a book that sells over a million copies in Celebrity Authors' Secrets. A must-have guide - filled with publishing and book marketing info - for aspiring writers, authors, publishers, editors, writing coaches, creative writing tutors and anyone who loves books. Find out how to make your book stand out from the masses!